Specialty coffee is alive and well in Wichita. Much like the recent boom of craft beer breweries, our craft coffee scene is changing rapidly and for the better. But what does this mean for the consumer? Are we now going to have to submit to the growing demand, and ultimately, the growing expenses that surround a well-prepared and cared-for cup of coffee? Farmers, green coffee buyers, coffee roasters, baristas and the consumers all take part in this process of producing specialty coffee. Specialty coffee not only tastes better when served properly, it feels better. As a consumer, there is a certain level of trust one should expect when they order specialty coffee. 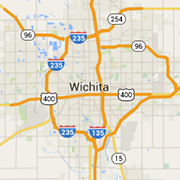 In Wichita, the specialty coffee wave really began to take shape in 2013 with the addition of a few coffee businesses. And since then, we’ve seen a tidal wave of action take place that is truly benefiting our coffee culture. From coffee roasteries and cafes to coffee tours and scavenger hunts, Wichita is creating a buzz in the Midwest that is characteristic of the cultural change we are experiencing in many other areas of our community. Do you consciously choose specialty coffee, or is this a new concept for you? Do you value an intentionally special coffee experience, or do you prefer your cup of joe to be swill from the office break room or a convenience store? Through this blog, it is my intention to showcase our unique coffee culture in Wichita, as well as share my findings from my travels around the country. There is so much to celebrate and even more to discover. There are so many reasons to only choose specialty coffee: quality taste and experience, sustainability, diversity and inclusion, community advancement, employee engagement, satisfaction and more. Today, I’ve chosen to start this blog off with a mainstay of my business, The Pope’s Choice batch brew. Through the course of this writing journey, I downed two 12-ounce cups of our Reverie Roasters flagship brew, made from a blend of Guatemala, Brazil and Peru specialty coffees. Each of these coffees is carefully roasted to create a well-balanced, sturdy cup of coffee, fit to be a daily drinker in both Reverie cafes and in offices around our city. Toasted nuts, a hint of chocolate and overall smooth finish is what makes me love this coffee. I could drink it all day. 2 "What is Specialty Coffee?" Get to Know Andrew & Our Other Contributors!